When you’ve been the world’s top selling car since 1974, and have sold over 40 million examples, you become hesitant to change what has proven to be a winning recipe. 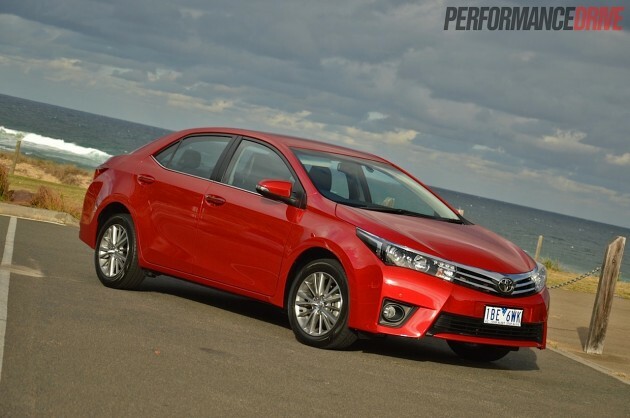 And that’s what keeps consumers coming back to the Toyota Corolla – they know exactly what they’re in for. Even with fierce competition and uprising technologies from other manufacturers, there is a large crowd sticking to what it knows best. Toyota does things a bit differently with the world-famous Corolla. 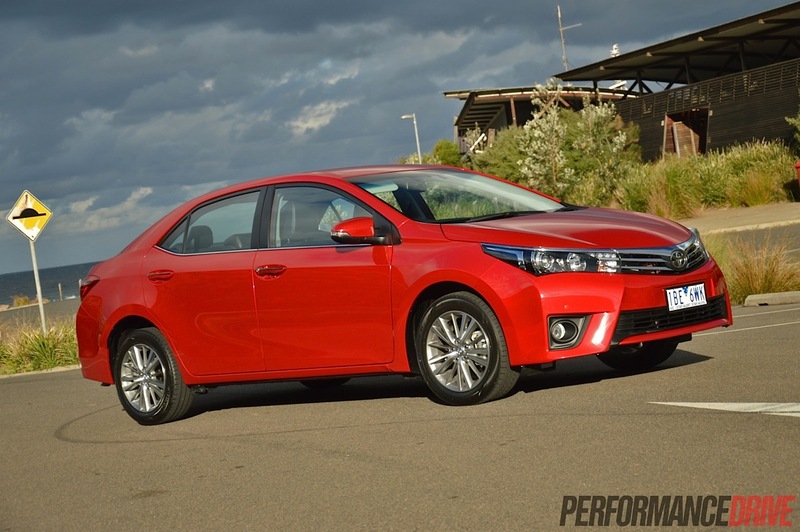 The sedan and hatch are two different cars, targeted towards different markets. They’re built in different countries, and are currently at different stages in their lifecycles. 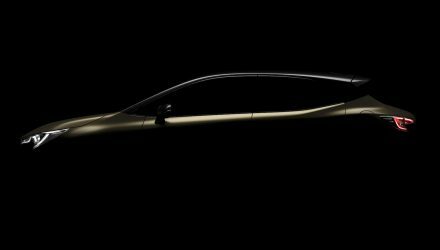 The Japanese-built hatch was launched early last year, and this Thai-built sedan in March this year. 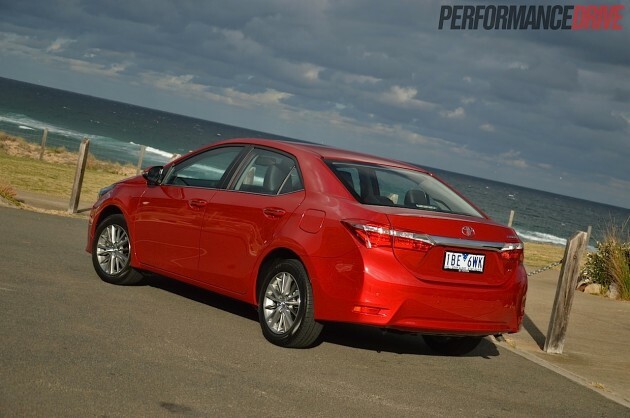 To put the power of the Corolla brand into perspective, even with the sedan being on the very end of its lifecycle last year, the Corolla was still Australia’s number one selling car in 2013. Impressive, much? 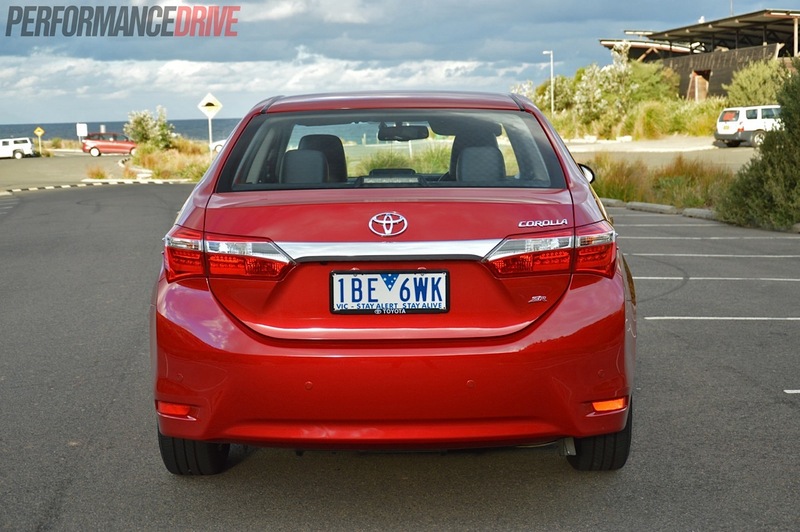 There are three specs on offer in the sedan form in Australia; the base model Ascent, the SX, and the ZR (as tested). All are available with a six-speed manual or Toyota’s new seven-speed “multidrive” automatic (except for the ZR it’s only available in auto). 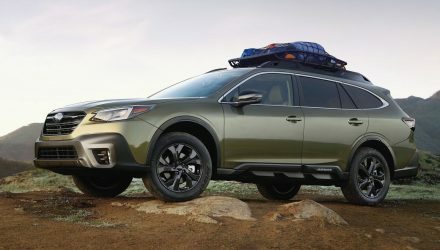 For the base model Ascent sedan prices start at $22,990 for the six-speed manual, which is $3000 more than the Ascent hatch. For the ZR sedan we’re putting through the test here, prices begin at $30,990. 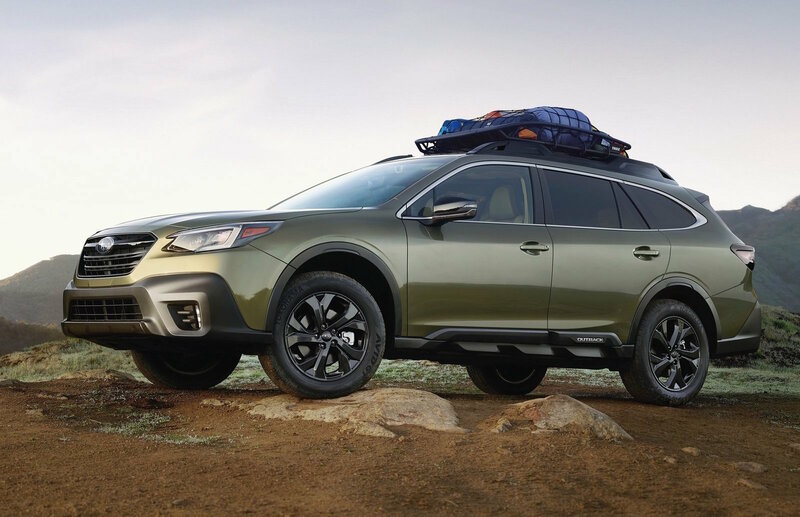 Even though the starting price for the base model Ascent is a little more expensive than the competition, standard equipment is aplenty. And let’s be honest, once you add all that necessary equipment to the other cars, you’ll be paying around the same price. 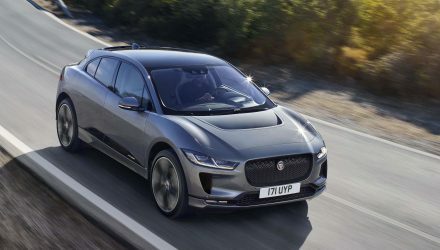 You get seven SRS airbags, a 6.1-inch multi-information touch-screen display with an integrated reversing camera, reverse parking sensors, traction control, steering wheel controls, headlight level control, a full-sized spare tyre, and a Bluetooth and MP3-compatible six-speaker sound system. The ZR adds a moderate array of extra mod cons, including 16-inch alloy wheels – a bit small in our opinion – daytime LEDs, leather seats and a mild interior finish upgrade, an electronically adjustable driver’s seat, auto climate control, cruise control, auto headlights, front clearance sensors, gear paddle shifters, fog lights, and rain-sensing wipers. Considering the ZR is the best model money can buy, we think the feature list isn’t that generous if you compare it to the competition. 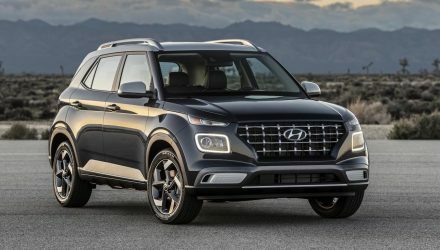 There’s no engine or performance upgrade over the other variants, no stereo upgrade, no xenon headlights, or any mechanical change from the standard Ascent. This might not be good enough for some buyers. 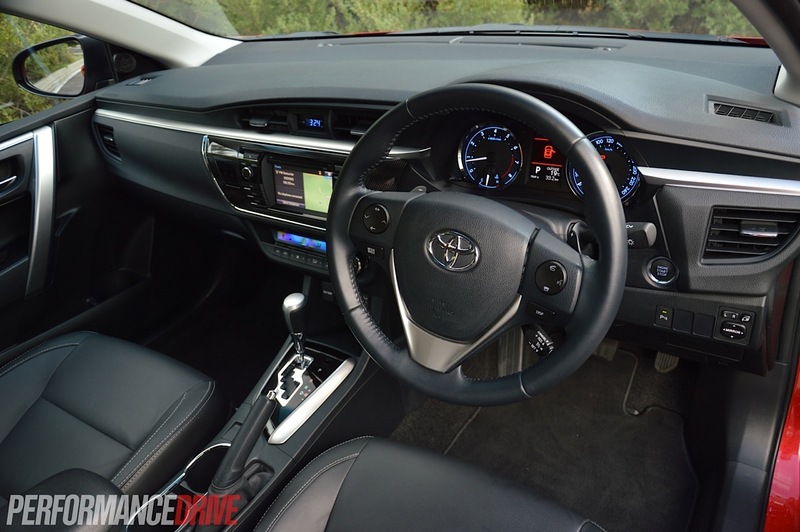 The usability of all features are what you’d expect from Toyota; basic and familiar. The dash and interior design is about as user-friendly as they come. From the moment you sit yourself inside, you’ll have no trouble finding the buttons and handles on everything. The only problem area we find is the multi-information touch-screen. It’s slow to react when pressed and can be a tad fidgety while driving. 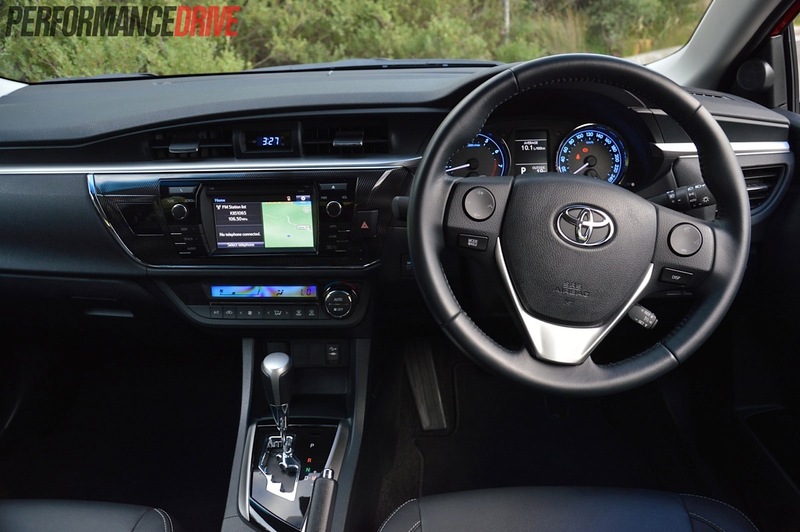 Another reason why the Corolla ZR is so intuitive to operate might be because of the lack of small tricks it can do, compared to the competition. 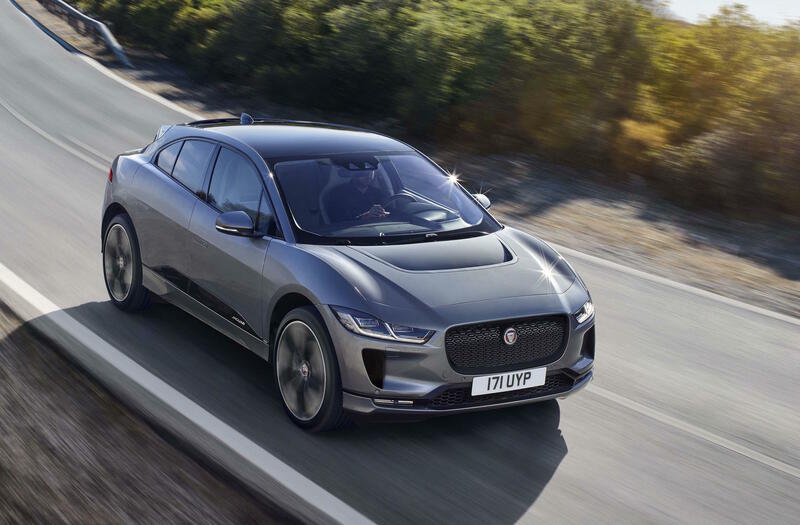 For example, there’s no option to have the ‘three-click tap’ turn indicators, no customisable interior lighting options, and the use of single-zone climate control instead of dual-zone. Some of these features won’t be a big deal to the majority, but they’re worth noting and are standard in some of the rivals. 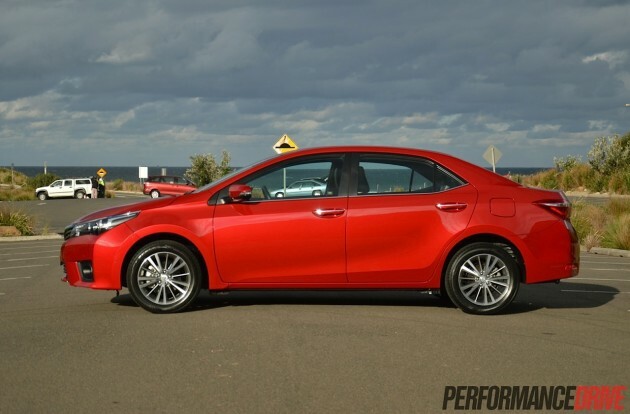 Toyota has done a wonderful thing to make reverse cameras and reverse parking sensors standard in the entire Corolla range. 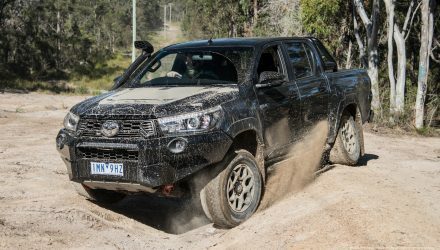 Being such a fundamental safety feature these days, the company just needs to flow it through in its 4WD range. 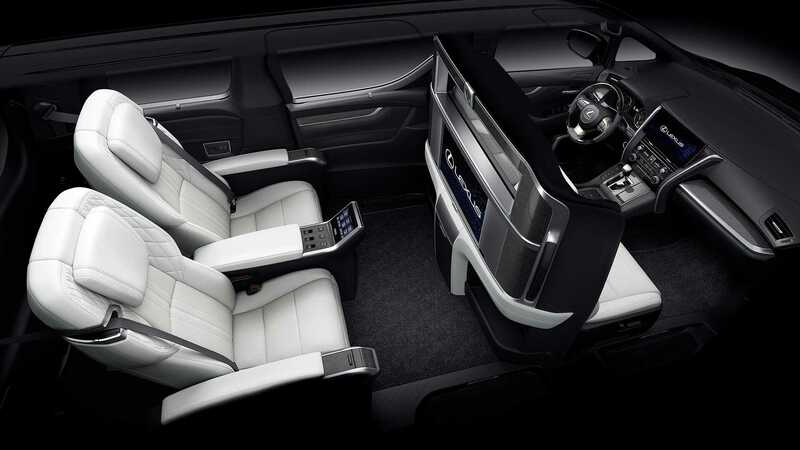 Technology aside, there’s a well-balanced variety of materials and textures used throughout the cabin. The glossy black panelling around the gear shifter and glove box add elegance and class, and the contrasting stitchwork brings a hint of Lexus quality. There’s no sign of rattles or squeaking surfaces. In fact, every handle and button feels exceptionally strong and secure to the touch. 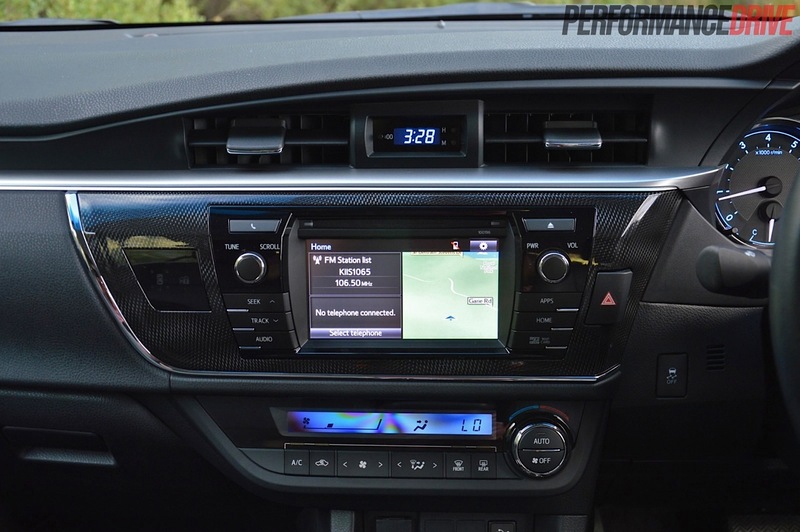 It is easy to get comfortable as a driver of the new Corolla ZR, too. We found a vast improvement on the comfort of the seats and driving position from the previous model. With that, space in the Toyota Corolla sedan is remarkable. It has grown from the previous model and not simply through expanded dimensions. Now 4620mm in length, there’s an increase in wheelbase by 100mm, width by 15mm, and it’s 5mm lower. It may not sound like much on paper but when you take a seat, you’ll think you’re sitting in a medium family-sized car. 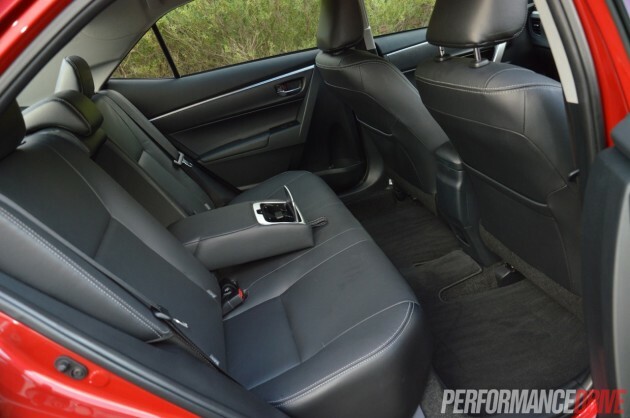 Toyota has made the front seats slimmer to add extra space. Even as a back seat occupant, adults are well accommodated for. Rear space is helped along by the broadly spaced mounting brackets for the front seats to create extra foot space. Boot space is a huge 470 litres, up by 20 litres on the previous model. In comparison, the new Mazda3 measures up at 408 litres and the Camry is 515 litres, so it’s about in the middle of the two classes. 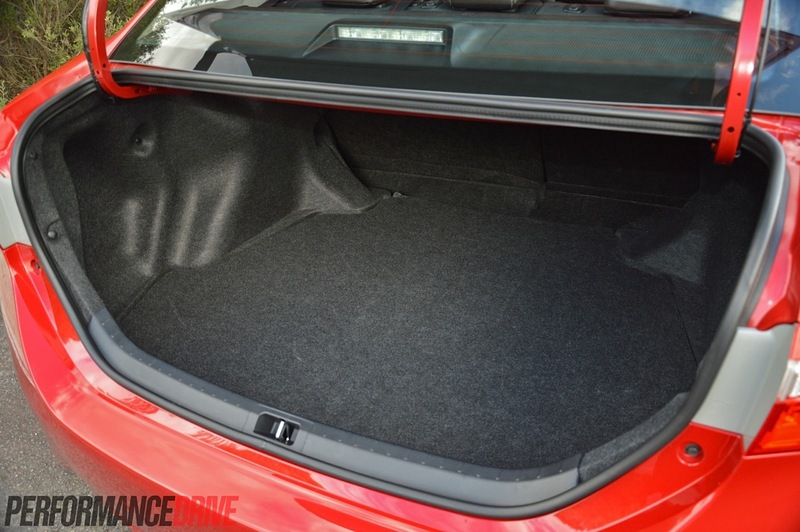 Though, you’ll find some of the Corolla’s cargo area unusable, depending on the flexibility of your luggage. This is due to the impeding gooseneck hinge design. There’s a bit of a design flaw in the shutting of the boot. If you pull the boot lid down slightly off centre (for example, standing from the side of the car) it’ll make a loud metal clanging noise and spring back up. The boot lid is fussy and has to be brought down completely square. 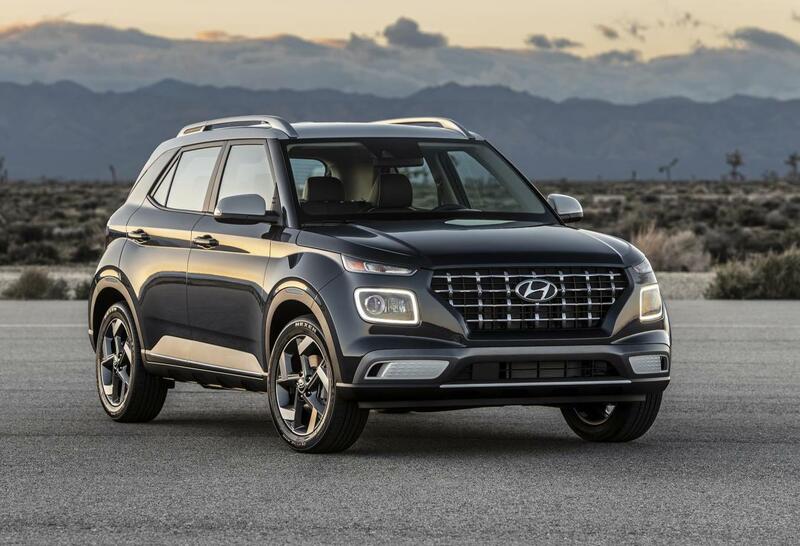 The exterior styling has had a major and very necessary update. Now inheriting a sophisticated, well-proportioned and elegant European design, it’s a huge and impressive leap from the outdated previous model. The headlights are now much larger and they’re garnished with LEDs and sharper edges. At the rear, the wider taillights separated by a chrome panel give off a classy and fluid design. All Toyota Corollas come with the same re-engineered 1.8-litre engine, which produces a conservative 103kW and 173Nm of torque. 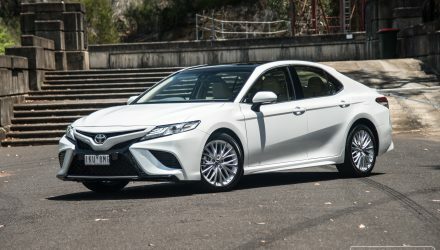 Still naturally aspirated, Toyota has managed to squeeze more power and more efficiency out of the engine – up by 3kW but down by 2Nm from the previous model. When you judge the Corolla by these outputs, you probably don’t think it’s at all that impressive. 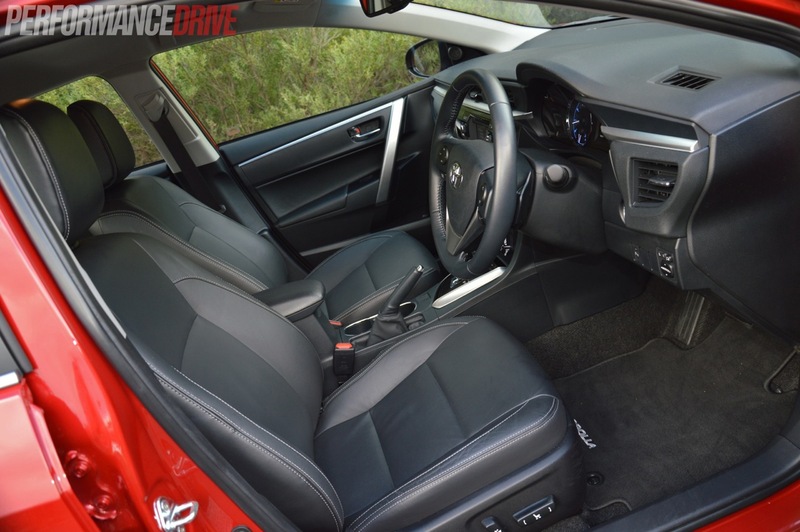 But with the assistance of the new “multidrive” seven-speed automatic, the delivery of this power is a huge factor. Taking off at the lights and keeping ahead of the traffic flow is simply effortless, and the engine sounds like it isn’t even trying. The seven-speed transmission in normal mode is a constantly variable unit that allows the Corolla to practically idle up to speed. For a more riveting and lively feel, use the well-placed paddle shifters to change through the seven ‘gears’. It really leaves the handicapped five-speed autos for dead. The CVT is probably the nicest CVT out there as it adapts to your throttle input and has ‘stepping’ gear changes. For example, when you back off the revs immediately drop like it goes into a overdrive. 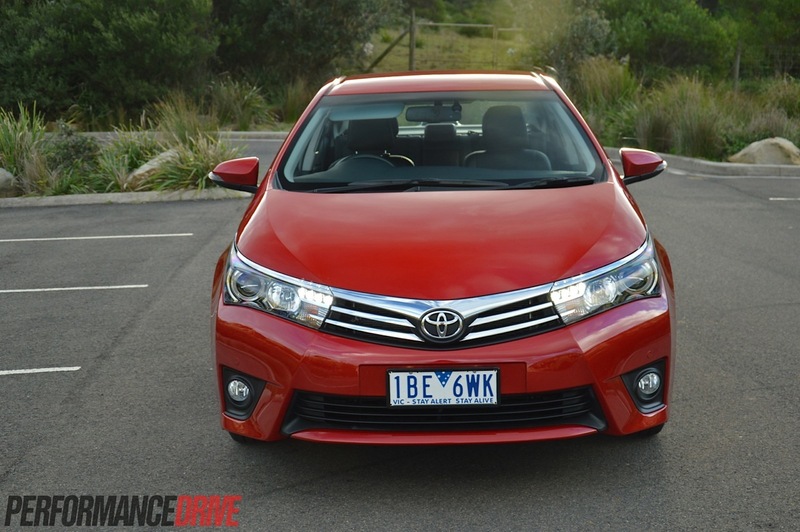 Going by the official tests, the new Corolla burns 6.6L/100km on the combined cycle, or 6.9L/100km by our averages. These fantastic results are also carried through when you’re heavy on the accelerator. Some how, economy remains very respectable. It’s a real testament to Toyota. Many rivals out there use turbocharger technology to achieve efficiency. Imagine what Toyota could do if it followed the same formula. 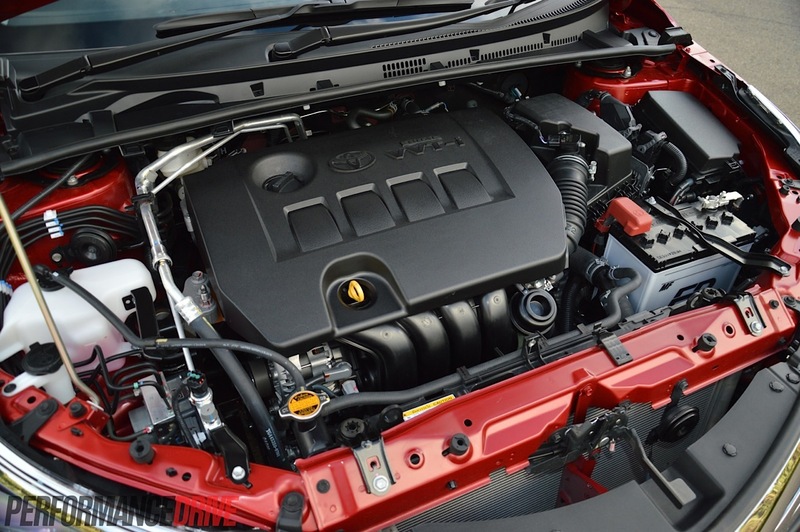 Judging the Corolla’s engine as an entry level engine, it is a strong and willing little performer that keeps up with the competition on power and efficiency. But as an engine in the top of the spec lineup, it is a huge shame that something more thrilling isn’t offered. For nearly 10-years now Toyota hasn’t had a ‘Sportivo’ equivalent. And with the growing popularity of the hot hatch/small sedan market, we can’t fathom why. We timed 0-100km/h in 9.2 seconds. This is slow compared with some of the top-spec rivals. 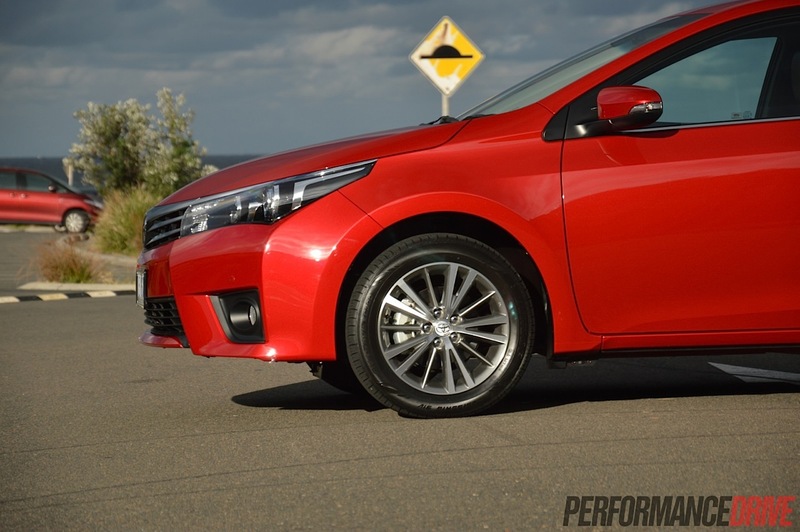 Zigzagging around corners, the Toyota Corolla ZR sedan is soft enough to be a smooth ride for those non-enthusiasts, and firm enough to cancel out any excess body roll. Technically, the ZR is supposed to target the more sporty-seeking buyers. So to those customers, the handling performance isn’t exactly a thrill ride, but it’s more than competent to handle your everyday choirs. 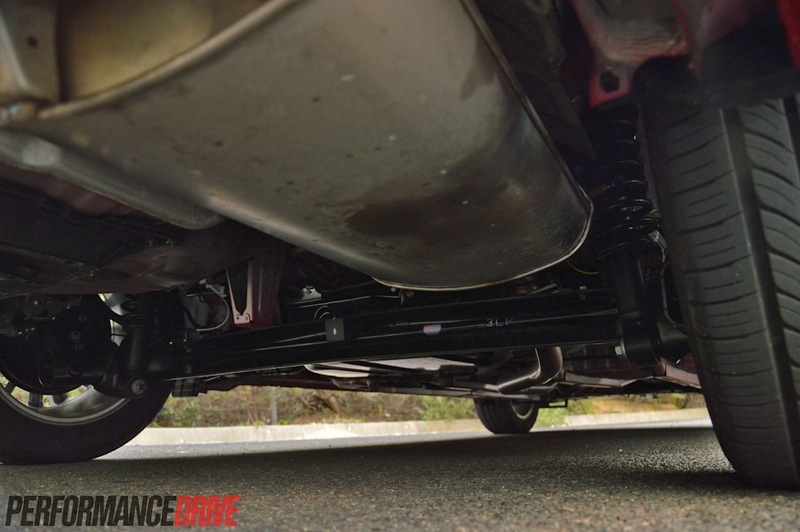 If you really chuck it around the softer suspension setting does well to soak up mid-corner bumps without unsettling the car, however, small 205mm tyres and some body roll means it isn’t able to pull the sort of lateral g-forces that the competition offers. 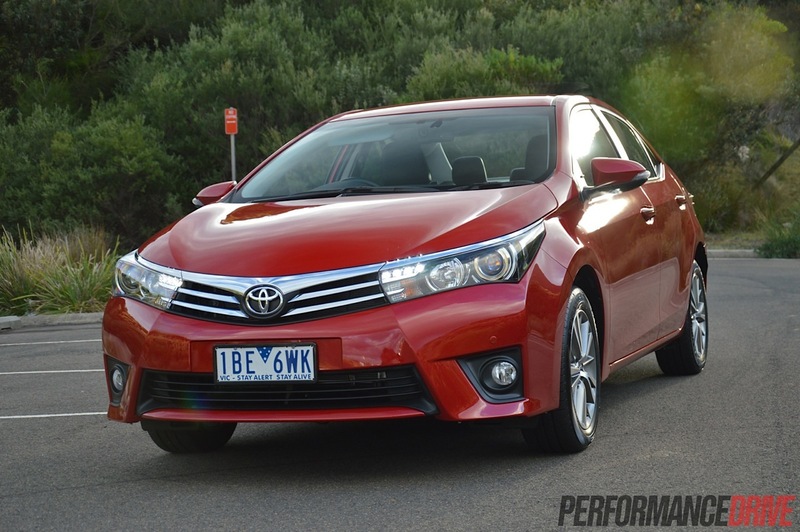 On the freeway, the Corolla sedan isn’t as close to perfect as some. Cruising in your lane tends to be a slight balancing act, where you find yourself constantly negotiating for the middle of the lane. Maybe it’s those big balloon-like 55 profile tyres? 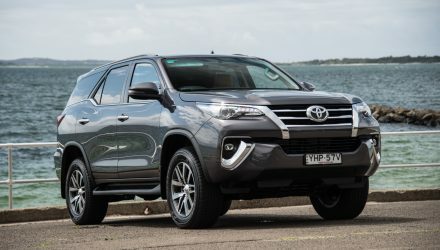 Toyota claims the new electronic power steering unit has been calibrated for Australian conditions. We find it pleasantly light, and even lighter at slow speeds which makes parking a breeze. The overall operating feel of the new Corolla ZR sedan is a positive one. You can feel the high quality build from even the small things, like the sturdy gear shifter, to the almost mute sound of the engine idling (you could easily mistake it for being turned off), and not to mention the lack of vibrations coming through from the engine bay. As you probably expected, it’s a perfectly rounded and balanced vehicle for its target market. It’s just a shame there is no hot hatch version anymore. Here we have the world’s most popular car in a healthy evolution update. While lacking in some areas, it’s fair to say it’s done purposely in order to keep it simple and in line with its market. But it moves forward in other important areas; it’s better equipped, more fuel efficient and much smarter in its use of space. 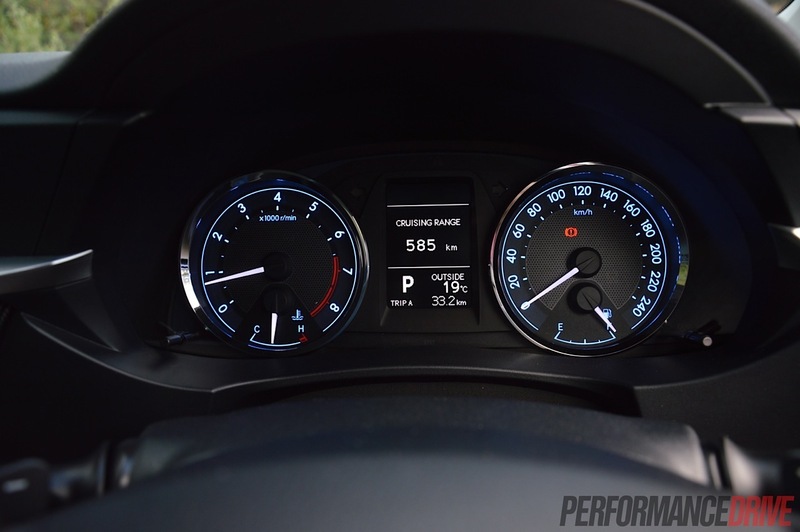 Specifically, the new seven-speed automatic is the most outstanding improvement. It allows for greater access to the engine’s power and torque, while improving fuel efficiency and smoothness. With the ZR variant, it is supposed to be the crème-de-la-creme. We don’t think it quite reaches the heights of top-spec models from the competition. There’s definitely a market here for an engine/mechanical upgrade, especially when it’s currently the country’s top selling vehicle. To the crowd it always appeals to, the new Corolla ZR sedan lives up to all the needs that count.